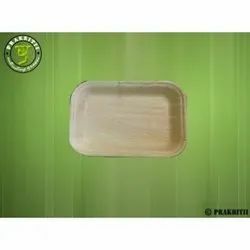 Thali or Plates for gifting dryfruits, chocolates, sweets etc. and for Pooja and many other more usage. 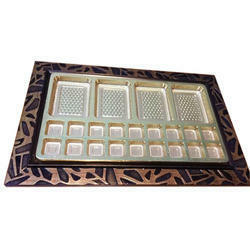 Leveraging on our extensive market knowledge, we are providing a high quality range of Fancy Dry Fruit Tray. Designer dry fruit tray by RG Creations. The use of Kouna( Gregarious weed ) and its crafts is one of the oldest traditions in the Manipuri society. It is both eco-friendly and economical, also bio-degradable. Can be used as a decorative items or for everyday usage. Serving bowl with waste collection dish. • Main serving dish with compartments for a variety of snacks. • Integrated collection dish for collecting and hiding food waste. • Made from 100% food grade melamine; Dishwasher safe.